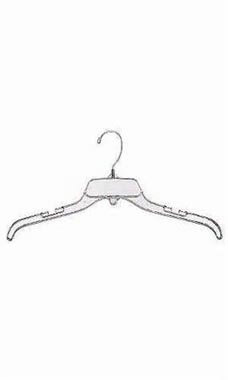 17" Break Resistant Plastic Dress Hangers are a wise and practical choice for your clothing display needs. Constructed from molded K-Resin and designed to stand up to the most severe conditions these hangers offer reliable use for years to come. All the hanger styles feature securely anchored, bright metal swivel hooks.